Regenerative Orthopedics Institute is located in beautiful San Luis Obispo, California at 842 California Blvd Our staff is friendly and always willing to help. We maintain a small office staff by design to minimize mistakes and so that you don’t get lost in the shuffle. You will never feel like just another number. We believe education is a big part of treatment and so our staff will utilize models, diagrams, office charts and handouts for education. We maintain an up to date electronic medical record with a patient portal for access and electronic prescription prescribing capabilities. Our waiting areas are light, roomy and comfortable. Our exam rooms are well-equipped. 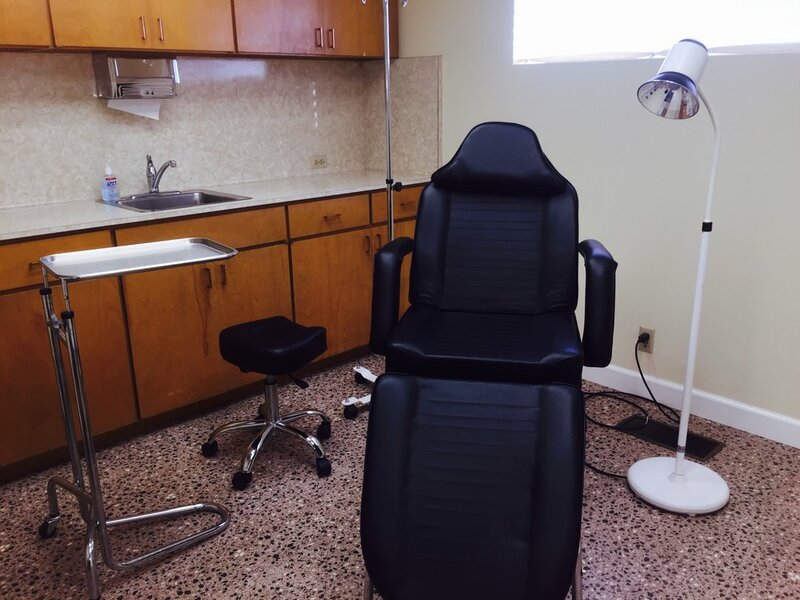 We have an in-office surgery suite and a fully equipped laboratory for the harvesting and processing of stem cells and platelet rich plasma. Ultrasound allows the physician to exam soft tissues in real time to asses for tears, strains and tendonitis and to evaluate masses. Fluoroscopy allows the physician to exam bones and joints in real time to evaluate stability and deformity. Access to our office from the freeway is easy just off the California exit in San Luis Obispo. We don’t shut our phones down at lunch. You can always reach us. We keep a few appointment slots open every day for same day emergencies.